Offering our masonry expertise to private clientele right through to corporate clients. Whatever your project we offer expert advice and a professional service to anyone requiring a traditionally built or contemporary stone wall. 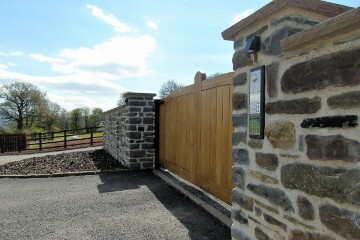 Stone walling is synonymous within south Wales, from boundary and garden walls, retaining walls in private residences and along public highways to rural stone walls on farmland and within country estates. 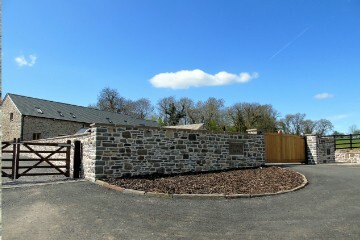 Operating within the counties of Monmouthshire, Gwent, Powys, Herefordshire and surrounding areas we have built and restored an enviable portfolio of successfully completed masonry projects for anyone and everyone requiring this specialist service. Most recently completing retaining walls with natural stone facing in Abergavenny, Crickhowell and Brecon for private clients and Newport, and Merthyr Tydfil for a large civil company. Whatever the size or complexity of your project we have the correct team of qualified tradesmen providing a unique professional service. This could be a garden wall, a farms boundary or the surrounding of a country estate. Whatever the size or type of stone wall, we offer the same professional service achieving a high quality finish. Anything requiring that traditional stone built look or even a new contemporary fresh stone appeal we have the attire to complete projects to the highest standards. Whether a new house, garage, outbuilding or an extension requiring an exact match of material and style we have the capabilities to transform ideas in to reality. Recognised for our high end walling services we have an array of satisfied customers ranging from private domestic clients to large construction companies. 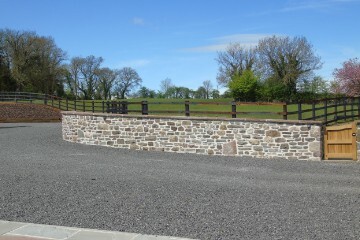 Our workforce are unique with the understanding of many walling types and techniques both as traditional and contemporary. Whether you’re looking for a stone built garden wall or a masonry gang to support you in building a housing development site we are happy to tender for your masonry package.